Ashton Aged Maduro is rare because of its selected and extremely limited Connecticut broad leaf wrapper. Many a wrapper leaf is picked, but few are chosen for the Ashton Aged Maduro. The initial sweet taste comes from the wrapper, but, once lit, the cigar becomes rich and nutty much like a great Madeira or Tawny Port whose distinct flavor comes from aging in Sherry finished French oak barrels. The Ashton Aged Maduro's rich distinct flavor comes from the never hurried natural fermentation of the wrapper, which encourages its natural sweetness. 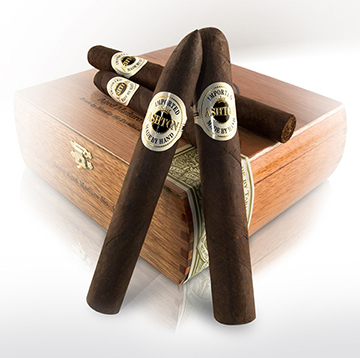 The wrapper and aged filler creates a rich and complex flavor elevating the Ashton Aged Maduro to a class all its own.